When it comes to exploring Vancouver, there’s no shortage of tours to choose from. Whether you want to experience the city’s food scene or soak up the top Instagram-worthy locations by bike, here’s a look at some of our favourites. Forbidden Vancouver: The Forbidden Tour. Delve into the Prohibition era, and uncover the seedy underbelly of Vancouver. 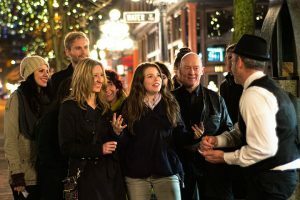 This two-hour walking tour takes guests through the alleyways and lanes of Gastown and Chinatown as they uncover the history of Vancouver’s speakeasies, cabarets, opium dens, bootlegging, vice and corruption. This tour is designed for adults, and runs every night until mid-October. Tickets are $28 (plus tax). Vancouver Photowalks. Whether you’re snapping shots with a DSLR, point-and-shoot or smart phone, Vancouver Photowalks has you covered. With photography instructors as your guide, this two-hour tour takes visitors and locals by foot to a select scenic location as your classroom, with options including Gastown, Stanley Park, Chinatown, Granville Island and more. Guests learn great photography tips and tricks along the way and, best of all, take home some incredible snaps. Click here for tour options, rates and availability. Cycle City Tours: The Grand Tour. With an expanding network of more than 300 kilometres of dedicated bike lanes, it’s no surprise that one of the best ways to explore Vancouver is by bike. 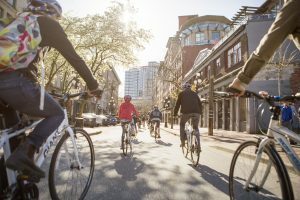 To get a true lay of the land, we recommend Cycle City Tours’ Grand Tour, which takes attendees on an epic spin around Vancouver’s top landmarks and attractions. Highlights include Stanley Park, English Bay, Granville Island, False Creek, Chinatown and Gastown. And while this tour covers lots of ground, this is an easy-to-moderate ride with frequent stops, photo ops and flat trails. This five-hour tour is $89.95 (plus tax), and runs daily, year-round. Vancouver Brewery Tours . Vancouver’s craft beer scene has boomed in recent years, with more than 45 microbreweries – many less than five years old – within the city limits. Get a taste of this thriving scene for yourself, and book Vancouver Brewery Tours’ popular Brewery Tour. Here, guests experience three breweries – each located in a unique brewery district and neighbourhood – where they receive multiple tastings and behind-the-scenes access. The three-hour tour includes transportation, and costs $79.99 plus tax. To check on availability, click here. Vancouver Foodie Tours: World’s Best Street Eats. Vancouver might be known as one of the best food cities in the world, but did you know it’s also one of the top street food destinations in North America? 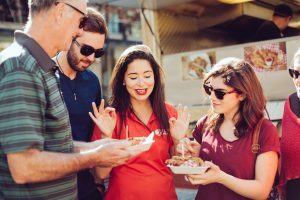 Join Vancouver Foodie Tours for a fun and interactive experience that includes tastings at four award-winning food trucks (with delectable eats ranging from Japanese-inspired hot dogs to crispy fish tacos), VIP access (skip the lines and avoid lunch rush! ), and introductions to the colourful purveyors behind this thriving community. This two-hour walking tour is $56.99 (plus tax); click here for tour dates and availability. Do you have a favourite tour that you want to share? We’d love to hear about it. In the meantime, start building your Vancouver itinerary and book a stay at one of our 36 downtown Vancouver hotels or take advantage of the unique offers only available here.